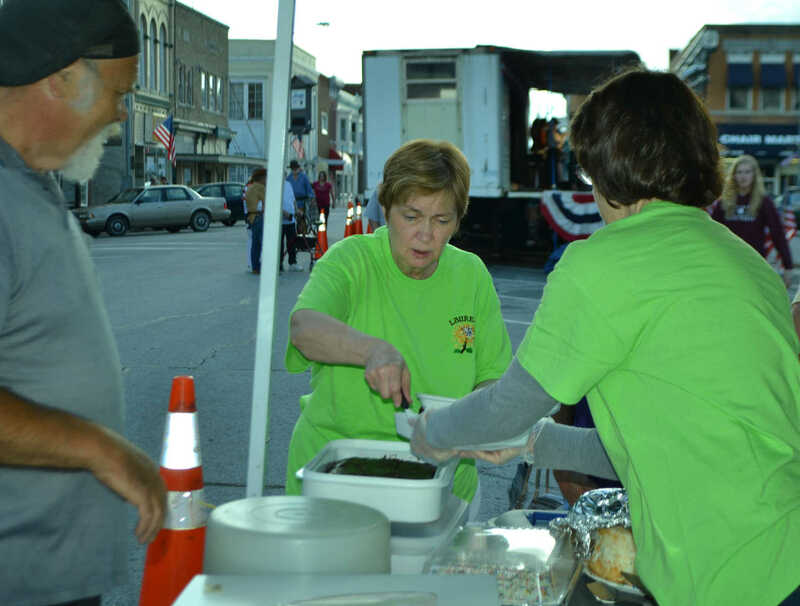 Linda Moore, of Nevada, selects earthquake cake at the Ice Cream Social during Bushwhacker Days on Wednesday, June 5. 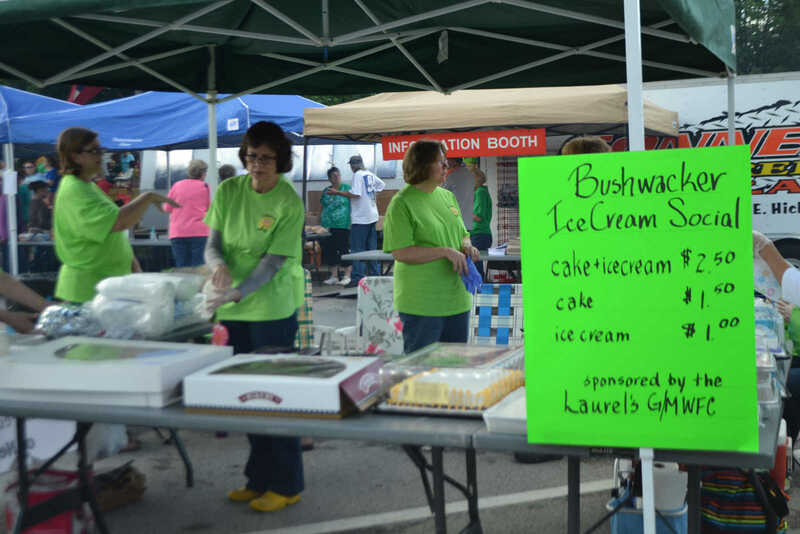 Caroline Taylor, of Nevada (center), and fellow Laurels prepare the Ice Cream Social for Bushwhacker Days on Wednesday, June 5. 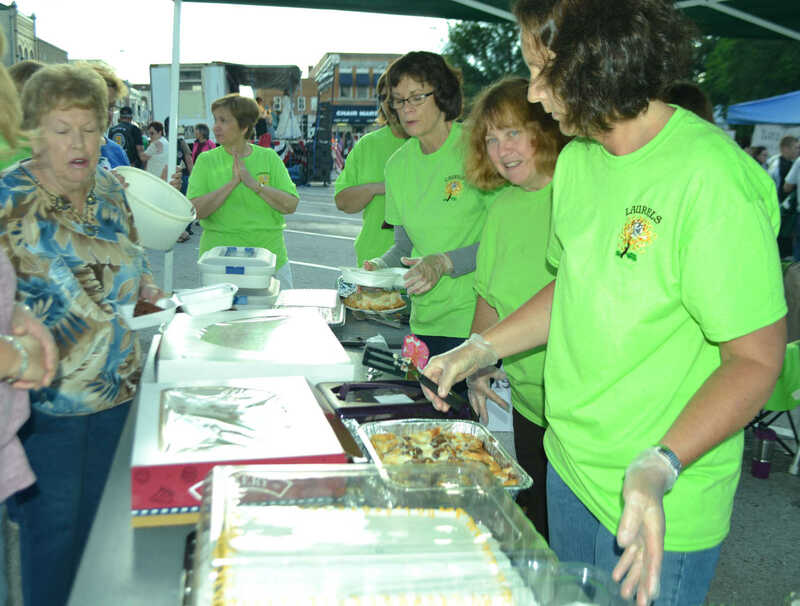 Linda Moore, of Nevada, left, chooses a slice of cake for Ellen Vyergo, of Nevada, far right, to dish out at the Ice Cream Social during Bushwhacker Days on Wednesday, June 5. 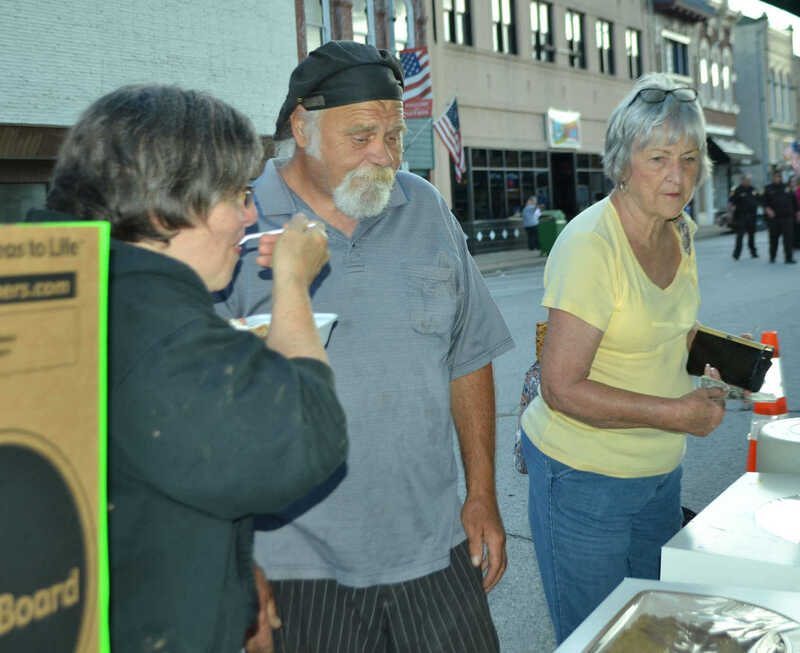 Kathleen and Lee Day, of Nevada, from left, enjoy cake and ice cream at the Ice Cream Social during Bushwhacker Days on Wednesday, June 5. 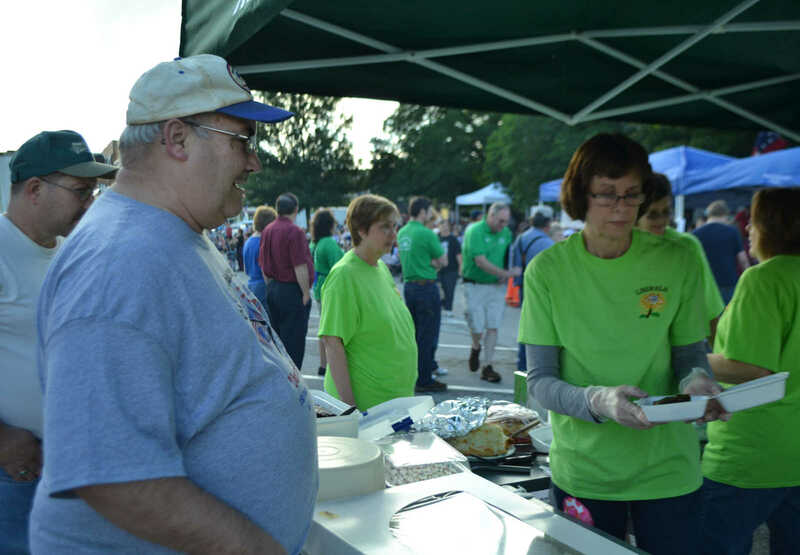 Lee Day laughs as he gets his cake and ice cream during the Ice Cream Social during Bushwhacker Days on Wednesday, June 5. 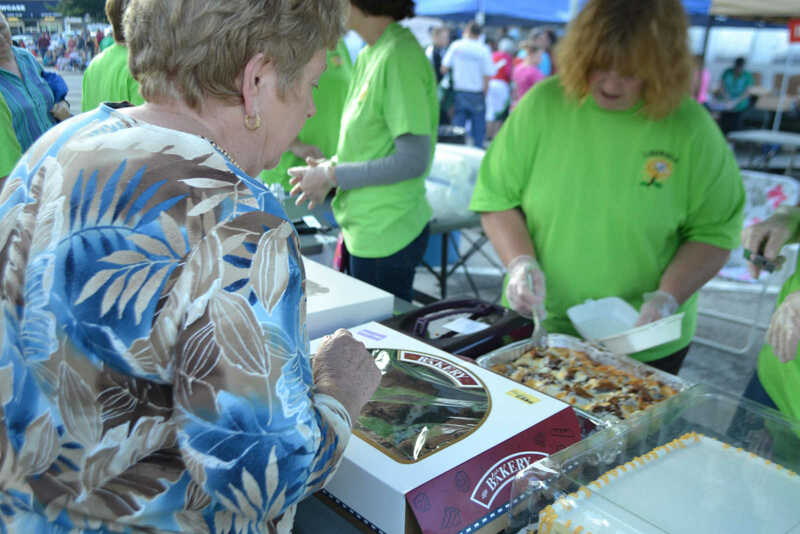 Kathleen Day, of Nevada, left, asks Ellen Vyergo, of Nevada, about the cakes at the Ice Cream Social during Bushwhacker Days on Wednesday, June 5. 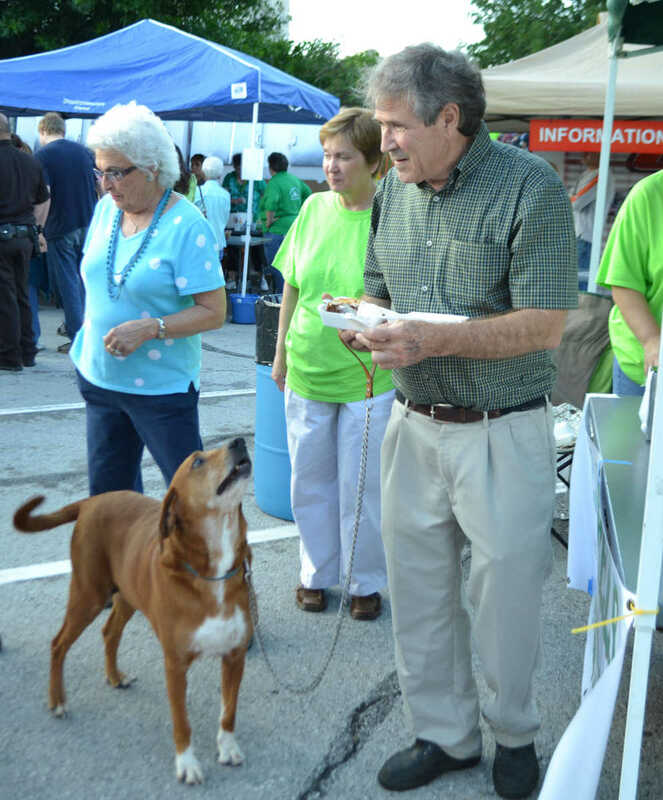 Jake excitedly awaits a bite of his owner's, Brent Mendenhall, cake and ice cream at the Ice Cream Social during Bushwhacker Days on Wednesday, June 5. 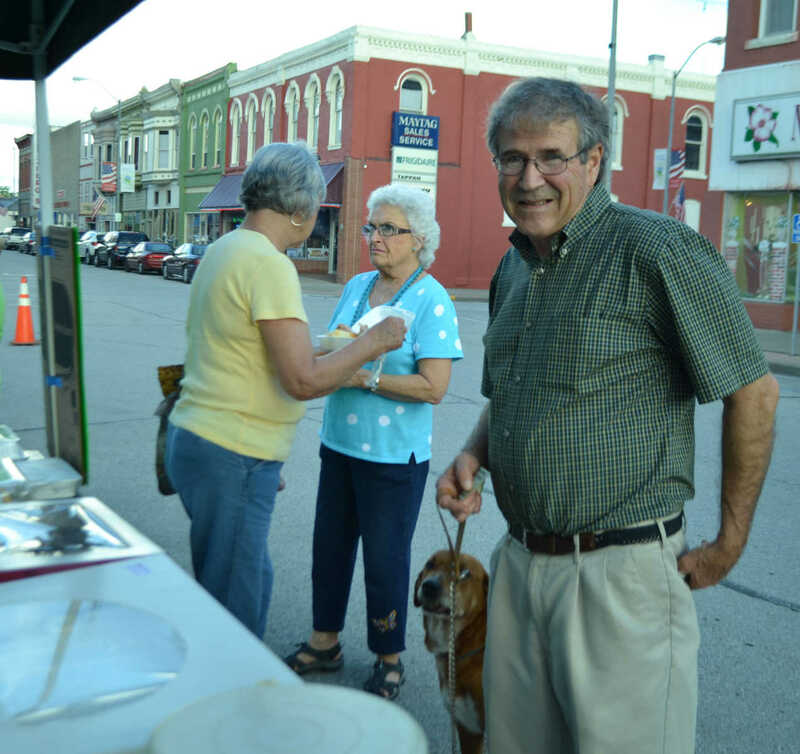 Brent Mendenhall, of Nevada, and his dog, Jake, line up for cake and ice cream at the Ice Cream Social during Bushwhacker Days on Wednesday, June 5. 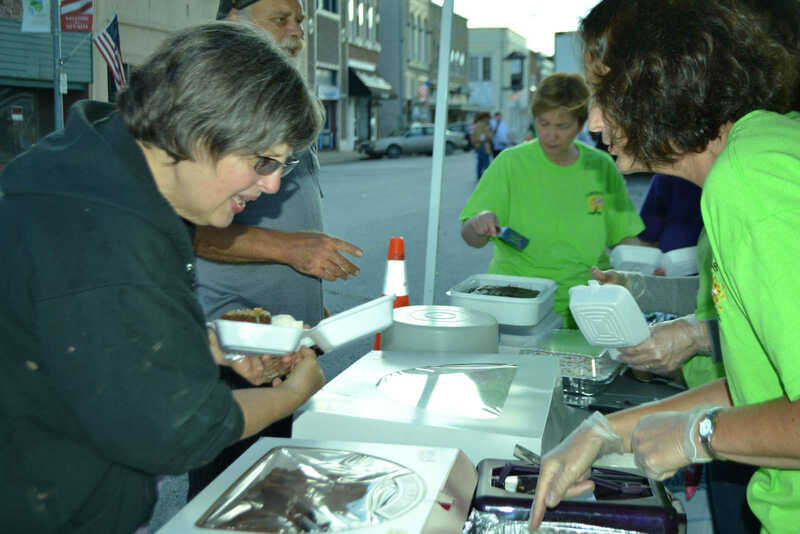 Laurels Valo Jones (center) and Caroline Taylor dish out some chocolate cake at the Ice Cream Social for Lee Day, of Nevada, at Bushwhacker Days on Wednesday, June 5. 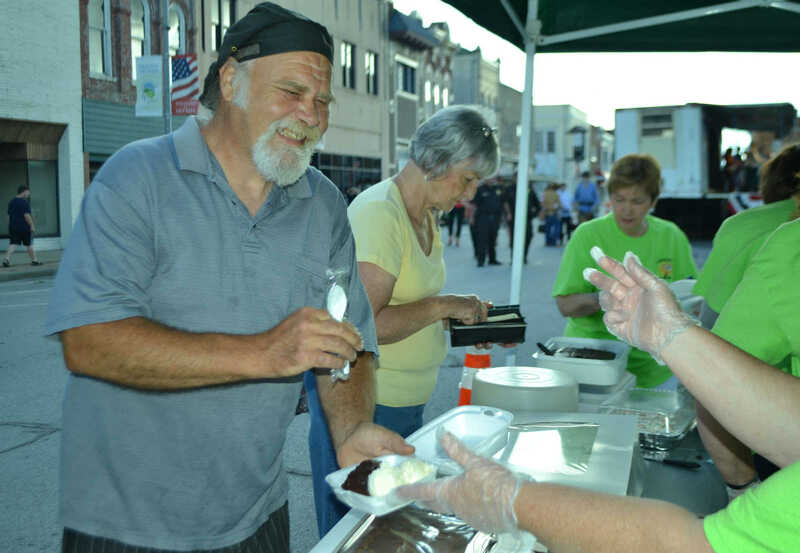 Laurels Caroline Taylor gets Don Bronaugh, of Nevada, left, a slice of chocolate cake at the Ice Cream Social during Bushwhacker Days on Wednesday, June 5.